The transfer of your assets after death is governed either by your will, or by statute if you don’t have a will. In order to prevent the State from deciding how your property is disbursed upon your death, you will need a will. If your estate warrants it, you may also need other estate planning devices, discussed below. A last will and testament can be a very flexible document, disposing of your assets as you wish, setting up trusts to take care of family members after your death, and taking advantage of any federal death tax exclusions or credits to which you may be entitled. If you have substantial assets, and you are interested in avoiding probate and/or maintaining privacy, a living trust may be appropriate for you. Your property is conveyed to a revocable* living trust, and is managed by the trustee (which will be you until your death or disability). Upon your death, the successor trustee named in the trust disburses the assets as specified by you in the trust. A trust is not admitted to probate, meaning that its terms are private, and the trustee does not need a court order to convey any of the property. A living trust also has the advantage that if you own real estate in another state, your personal representative will not need to open an ancillary estate in that state in order to transfer the property (so long as the property has been transferred to the trust). Although a trust may save some probate costs, the value of the trust is still part of your gross estate, meaning you do not save any taxes. Also, the trust does not protect your assets from your creditors, and any income from trust assets flows directly through to you. *”revocable” living trust means that you can revoke or change the terms at any time while you are alive. If the amount of tax paid by your family upon your death is a consideration, an irrevocable life insurance trust may be appropriate for you. This type of trust holds life insurance policies, and the trust (rather than a spouse or individual) is the beneficiary of the policies. Upon your death, the trust receives the proceeds. This provides a source of ready cash to pay taxes or to buy assets from your estate (or your trust) at fair market value, and then sell them in due course, rather than placing your estate in the position of selling the assets in a hurry to raise cash. A durable power of attorney allows you to appoint someone now who will take care of your financial and personal affairs if you become incapacitated in the future. Your family would otherwise need to go to court to have a guardian appointed, and that person would be answerable to the court. The person you name is called your attorney-in-fact, and has whatever powers you grant him or her in your will. An advance directive, sometimes known as a “living will,” is necessary to instruct your family and your doctors what to do in the event you are hospitalized and are unable to make medical decisions for yourself. This document appoints a person to make those decisions for you. It provides information to the doctor and your appointee about your wishes for life support, pain medication, and related matters. 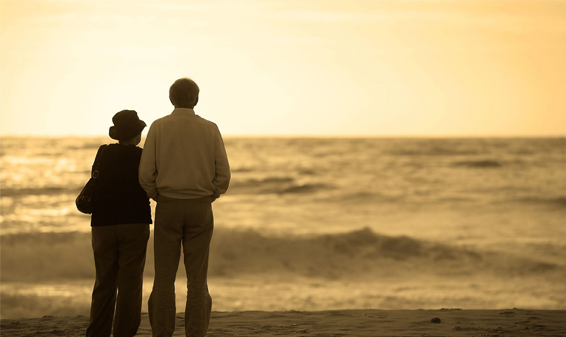 The Law Offices of W. Keith Williams, II has helped clients preserve wealth for future generations and plan for incapacity due to illness or failing mental health.